This year there has been quite a few dim sum festivals in Hyderabad – one at The Square, Novotel and the other very recently at InAzia Chime, Sheraton. 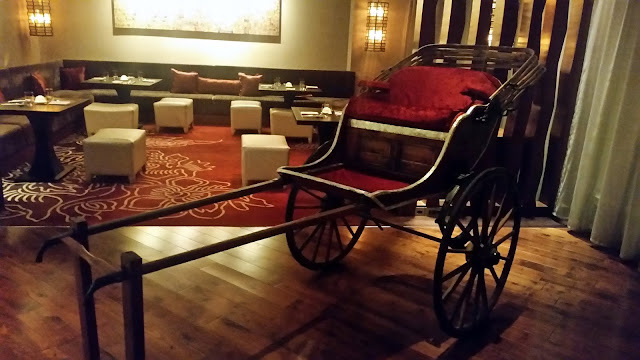 This pop-up at Park Hyatt was however preceded by an interesting bloggers table where there were a live demonstration and class of preparing dim sums. 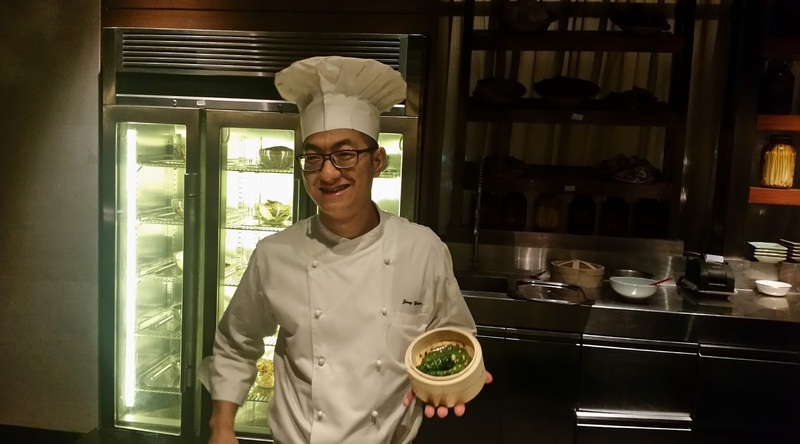 Chef Zhang had chosen two recipes of which the first was something unique. 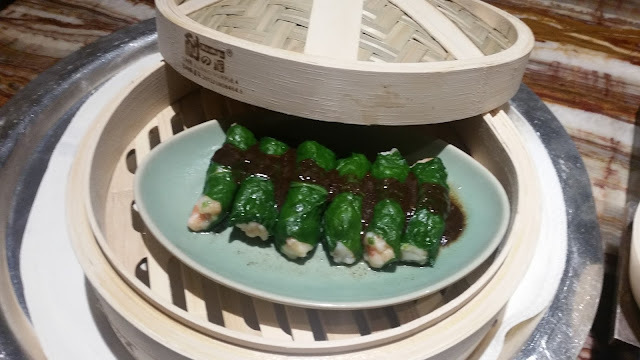 Prawn Spinach Roll was a different kind of dim sum – instead of a flour-based dim sum sheet, blanched spinach leaves were used and diced prawns with ginger and select ingredients were rolled inside it, giving the dim sum a really nice look. It was then made ready by steaming for about 4 minutes. Quite a few of the bloggers also tried their hand in making this dim sum, and the result looked pretty nice. 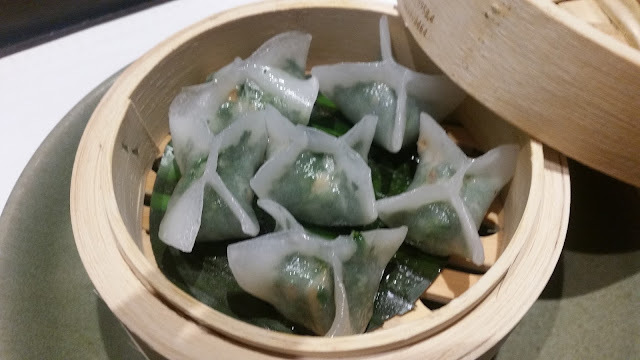 The second dim sum shown was Mixed Mushroom Dumplings. Three different varieties of mushrooms were minced together, and then tossed in a wok with a little bit of other ingredients such as spring onion. Potato starch and wheat starch were next combined to form the dough. The dough was then rolled literally single-handedly using a roller. 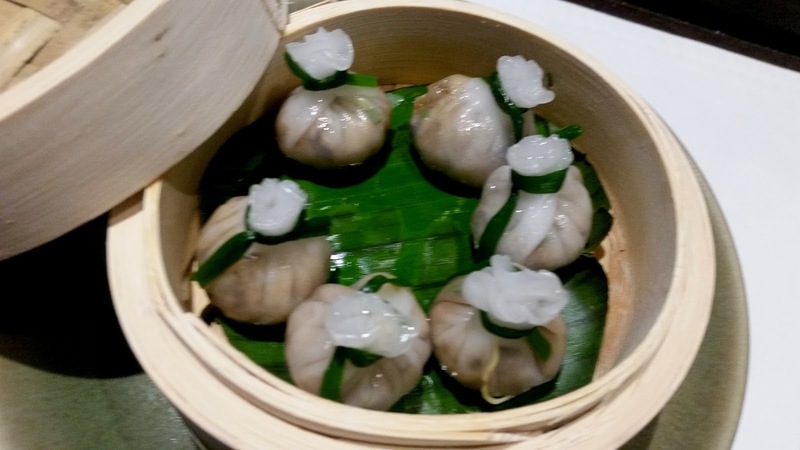 Chef Zhang showed us how to fold Dim Sums into different shapes. After the demo was over, we settled down for trying out quite a few varieties of the dim sum from the menu. The Prawn Spinach Roll was definitely the best of the lot. Others of note were the Crystal Spinach Dim Sum, Vegetable Spring Rolls, Chicken Prawn Sumai and Steamed Lamb with Chinese Cabbage. The dim sums were served with some Chinese tea, as per the traditions of Yum Cha. The dim sums were followed by a bowl of noodles. 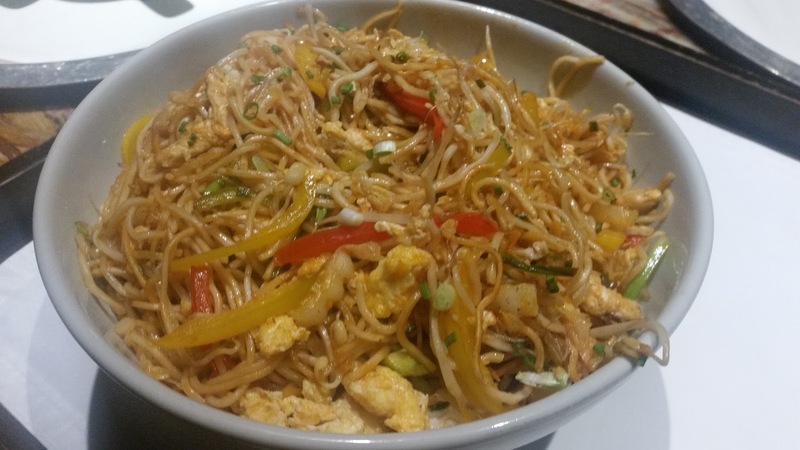 The China House Noodles is a dish of the restaurant of the same name in Mumbai where Chef Zhang is from. The noodles had eggs, tomatoes, spring onions and few more veggies and were a meal on its own. The dessert platter had Deep Fried Banana Fritters as well as a Vanilla Ice Cream with a touch of coconut. At the end, another surprise was waiting for us. Park Hyatt has introduced new ice cream flavours, and Executive Sous Chef Agnimitra arranged a tasting session for few of these special ones. Madras Coffee stood out of the lot and Qubani Ka Meetha was good. These ice creams are available for takeaway also. Please note that the ice creams were not part of the dim sum fest. I had a look at the festival menu, and items like Deep Fried Pork Dumpling, Pan Fried Beef with White Radish and Pork Ribs with Black Bean Sauce looked interesting to me. The festival is a-la-carte and on until 15th May for dinner. 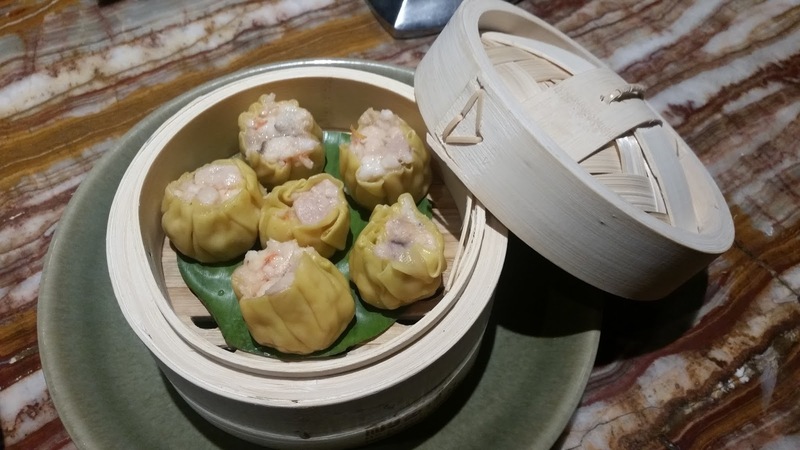 On weekends for lunch, the restaurant has a special offer at Rs 1000 plus taxes – consisting of an unlimited platter of six types of dim sums, noodles, and dessert. A value for money deal in my opinion. Note Oriental Bar and Kitchen is not open for lunch during weekdays.